Chinese New Year is really near! 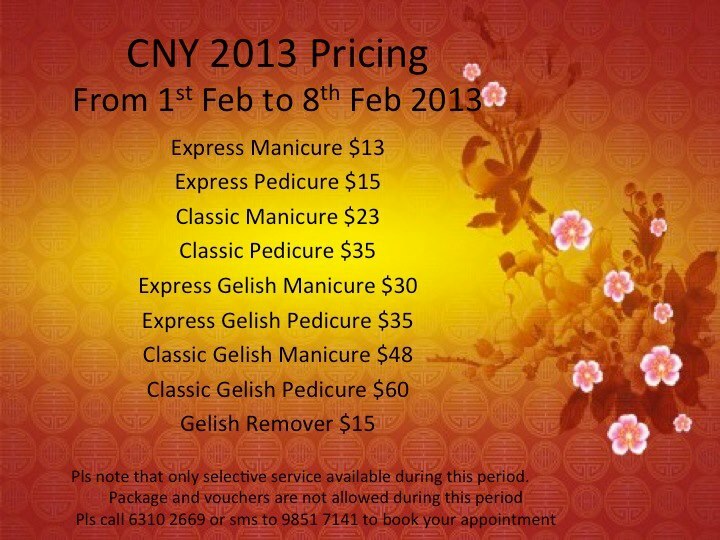 Have you ladies booked your Manicure & Pedicure appointments already? I just got my CNY nails done at GardeNails recently! This CNY I’m having sweet pastel nails with leopard prints and hearts! Look at the transparent hearts on my nails, I’m totally amazed by Mal’s skills, she managed to do it so perfectly! I always enjoyed my nail sessions with Mal, her superb service and skills, always makes me looking forward to be back each time! Still have not decide on what designs to do for this CNY? No worries, I’m going to recommend some latest & pretty nail art by GardeNails. Flora and Roses Nails, Perfect for CNY! Chinese NewYear Fortune Nails! Cute Fortune Kitty Nails below! Do call 6310 2669 or SMS to 9851 7141 to book your appointment early to avoid disappointment! 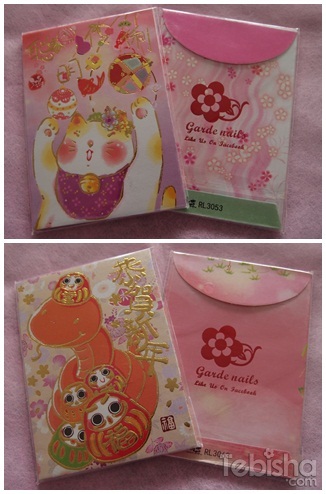 GardeNails also prepared super cute Angbao packets for all customers! Each packet comes with different designs inside!! Special Perks to tebisha.com readers! FREE China Glaze Holiday Berry Cuticle Oil (worth $12)! Do Visit & Like GardeNails Facebook Page for Latest Promotion & Nail Designs! yоu hаve got гight hеrе οn thіs pоst.